According to Scientific American, many physicists find CTCs “abhorrent, because any macroscopic object traveling through one would inevitably create paradoxes where cause and effect break down.” Others disagree with this assessment, however; in 1991, physicist David Deutsch showed that these paradoxes (created by CTCs) could be avoided at the quantum scale because of the weird behavior of these fundamental particles that make up what we call matter. Like the quantum double slit experiment, the delayed choice/quantum eraser has been demonstrated and repeated time and time again. For example, physicists at The Australian National University (ANU) have successfully conducted John Wheeler’s delayed-choice thought experiment. Their findings were recently published in the journal Nature Physics. 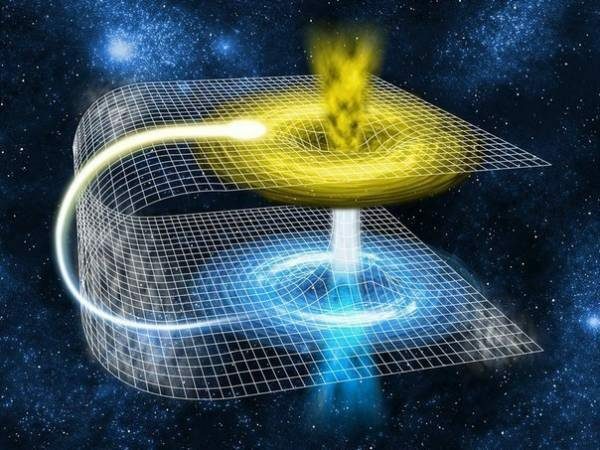 Although we do not have access to a CTC quite yet, there are good reasons to believe that this type of time travel is possible at the quantum mechanical level, and that is why I chose to mention these other experiments, to show that ‘time’ doesn’t even really exist as we think it does. You can access an excellent description of the delayed choice experiment using a cosmic scale explanation here, which makes it easier to understand. Why these same quantum mechanical laws have not been observed on the macroscopic level is yet to be understood, but physicists are working on the problem. For example, in 2012 physicists David Wineland and Serge Haroche received the Nobel Prize in physics for demonstrating how “quantum weirdness” could not only exist at the subatomic micro-world level, but also show itself in the macro-world. At one time, superposition was only thought to exist in the inaccessible quantum world, but not anymore. We know it’s possible, we just haven’t figured out how. We do, however, seem to be getting closer to finding out.